Having fought under the Queensberry Rules in the “Money Fight” last year, the word is that they will take the fight to the Octagon for their second bout. UFC fans were very surprised to hear that the veteran boxer – who has next to no commonly known MMA experience – would risk his health in a sport known to take no prisoners. Mayweather, 41, may have abandoned his “Pretty Boy” moniker a long time ago, but that does not mean that he will be willing to allow his face to suffer the effects of McGregor’s elbows, knees, kicks, and punches. The fight will be contested under “modified MMA rules”. What exactly are these rules, however? In a leaked document obtained by some guy in a pub in Dublin, Ireland, we got the scoop on how the fight will be fought. The rules are far from what MMA fans are used to seeing when they watch any fight, so these may or may not come as a surprise to some. “You know, everyone has to compromise at some point, yeah? This is war, this is two animals from the biggest kingdoms clashing against one another for the right to claim themselves as the best fighter in the animal galaxy,” McGregor may or may not have told some guy in New York this week. “Floyd will not know what hits him when I swing that feather towards his jaw. This will be carnage, this will be mayhem. 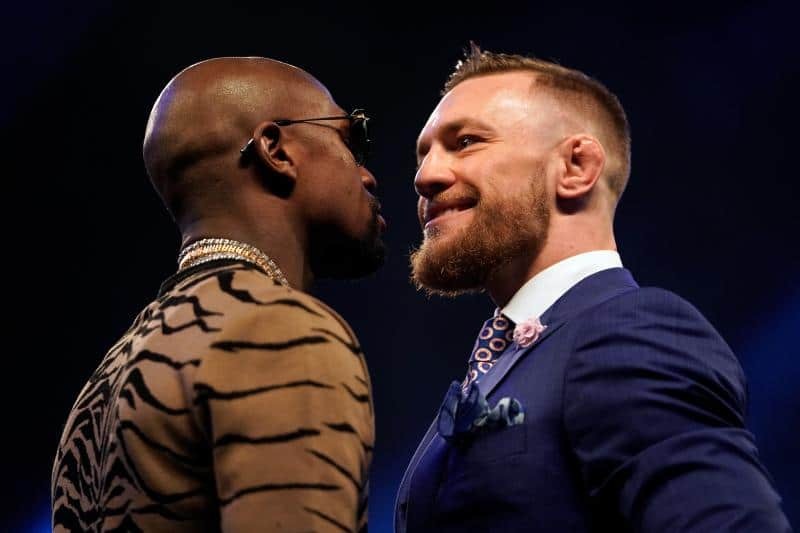 In a bid to sweeten fans up, it has also been announced that Mayweather vs. McGregor II will include a free online IQ test for those willing to buy the PPV. This allegedly has nothing to do with fans’ intellectual capacity but is seen as a means to make up for the pointless boxing bout in August 2017. Fans paid almost $100 dollars in the USA for the privilege to watch a man who had never boxed in a professional capacity be eventually dominated by one of the greatest of all time. With a little hype and promotion, these same fans could even pay more next time around.